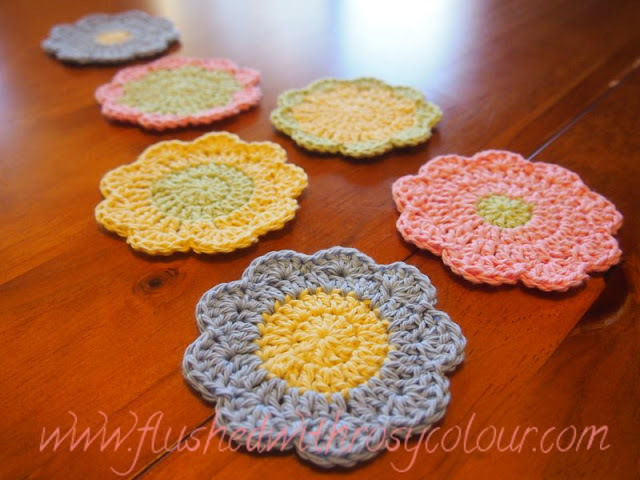 Here is a set of 6 spring flowers coasters I made up the other day to update my online shop for Spring. 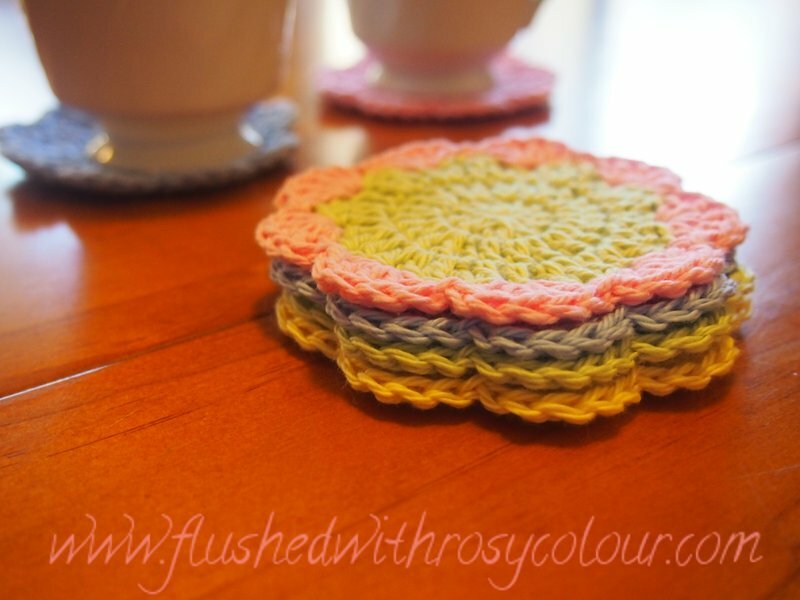 They are simply the same as my Summer Drinks coasters I made for Christmas 2010, just in different colours. This time I used 8 ply Australian made cotton in lime, lemon, sky and pink. Just what I need to pick me up for the new season! 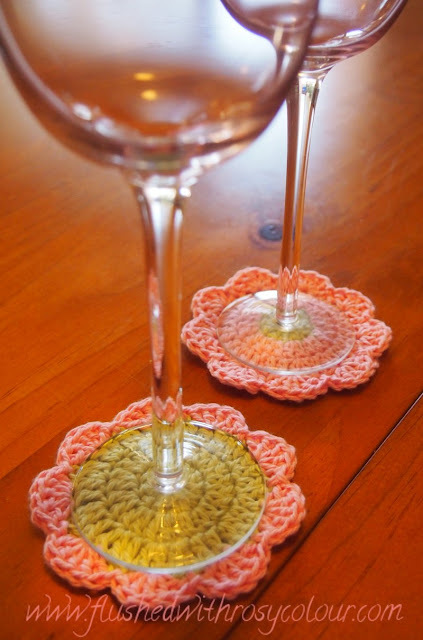 ... or for pink champagne!